Please join Tchipakkan on the New Normal 8 pm Wednesday, 5-11-16, 8-9 p.m. edt. If you miss the live show, it’s archived here. I’ve been doing Tarot for about 50 years now, and both know several layouts, and make them up as I need to. If you’d like to have a reading on something (and don’t mind having “the whole world” listening in, please call. 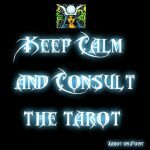 If you to are a Tarot reader and want to call in and compare techniques, please feel free to call and we can chat. Not every technique works well for every reader, and your perspective may be better than mine for someone in the audience. Or we can share stories! I plan to talk about the common 10 card “Celtic Cross” spread, the “yes-no” spread, various 3 card spreads, single card focus spreads, mixed deck readings, reduced deck readings, and the 12 card year reading. I’ve done full deck spread once, but it’s incredibly time consuming. This program I don’t plan to talk about different meanings for the cards, but simply spreads or layouts, and how that works with the reading. 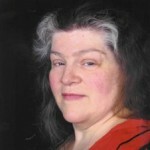 To listen live: open a window on your computer to www.Liveparanormal.com, sign in, and click on Shows, and the New Normal to listen. To listen later at your convenience, shows are archived by date on LiveParanormal.com here, and they’re organized by date, topic and guest on Tchipakkan.com . This entry was posted in Tuesdays New Normal announcements and tagged Cards, divination, interpretation, spreads, Tarot.